This awesome dose of FREEDOM is delivered with 3 presets containing the skins above and 3 more skins without the logos. Enjoy ! 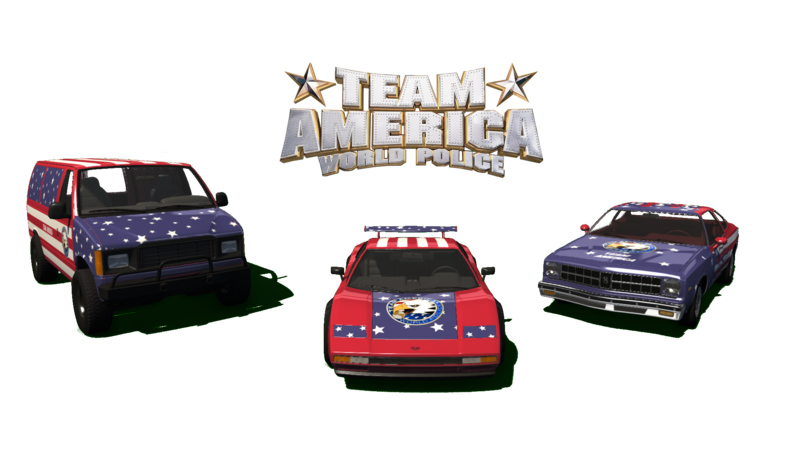 Any resemblance with the Team America : World Police movie is purely intended. Eve1Knieve1, Daltron3030, gigawert and 3 others like this. Very nicely done skins! I use the Moonhawk one on a regular basis for my "stunt car". I love it! I will 'Murica my way down ECU now! MERICA! Pretty neat skins. Best one has to be the Moonhawk, because who doesn't like freedom flames?